Earning a graduate-level degree is a goal for many current undergraduate college students and professionals alike. In the 2016-2017 school year, an estimated 798,000 master’s degrees were awarded to deserving students, representing an increase from the previous two academic school years. More and more individuals are pursuing advanced education degrees because of the inherent benefits. For most, having an advanced degree has the potential to increase earning power over the course of one’s life while providing a far deeper level of understanding about a specific topic or major. While beneficial, a graduate degree is no more than a pipe dream for some because of the costs associated with attendance. The expenses associated with earning a graduate degree are often higher than those included in the cost of completing an undergraduate degree program. This cost disparity is because graduate-level students are often working professionals who have financial obligations above and beyond first- or second-year undergraduate students. Without some assistance from available sources, graduate level students are more apt to borrow through public and private student loans to finance their educational goals. Scholarships for graduate students can be a method to achieve a graduate degree with less long-term financial impact as borrowing may have. Through various charitable organizations, non-profit groups, corporations, individual donors, and colleges and universities, graduate students who meet certain criteria may qualify for scholarship funds that do not need to be repaid over time. Scholarship awards vary from organization to organization in terms of the amount offered, eligibility, and timeframe for submitting applications. Below are a handful of graduate school scholarships available specifically to students pursuing an advanced graduate-level degree. Through Teacher.org, one $2,500 scholarship award is available to qualified graduate-level students who are pursuing a degree in the education field. Individuals studying child development, early childhood education, general education or administration, secondary education and special education through an accredited master’s or doctorate degree program may be eligible for the award. Applicants must submit a personal essay as part of the application process and have a GPA of at least 3.5. The application deadline for consideration is April 1 each year. Additional information about the Inspire Our Future Scholarship can be found at Teacher.org. The American Association for the Advancement of Science, or AAAS, as an organization is committed to increasing the communication skills of students studying the sciences, including effective grant writing and interaction with their communities. The fellowship offered by the organization is made available to students currently enrolled in a graduate, doctoral, or upper-level undergraduate program who have less than one year until completion. Students must be enrolled in a qualifying major, including physical, biological, or geological health, engineering, computer or social science, or mathematics. Recipients of the fellowship award receive up to a $5,000 stipend as well as travel expenses. Additional information about the AAAS Mass Media Science and Engineering Fellowship can be found on their website. Since 1955, National AMBUCS has offered scholarships for graduate students to qualified therapy students in programs leading to a master’s or doctoral degree. The scholarship awards are available to students pursuing an advanced degree in physical therapy, occupational therapy, speech pathology, and audiology with an accredited college or university. Students who are eligible for the award must be accepted into an accredited program and be able to show financial need for the scholarship. A one, two-year award of $6,000 is available to eligible students. Applicants must be U.S. citizens or permanent residents, and all application information must be submitted by the deadline in mid-April. More information about the scholarships from AMBUCS can be found on the organization’s site. Students participating in a doctoral degree program with an accredited university may be eligible for a scholarship award from the American Cancer Society. The award recipient may receive up to $30,000 to use toward their education expenses so long as studies are focused in the field of cancer nursing research or nursing sciences. Applicants must be enrolled in a doctoral degree program in nursing and have a current license to practice as a registered nurse. There is no citizenship requirement for this award. To be considered, applications must be submitted by the deadline in mid-October. 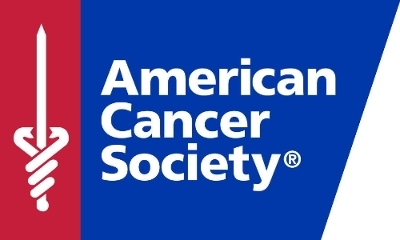 Information about eligibility criteria and the American Cancer Society can be found on the organization’s site. 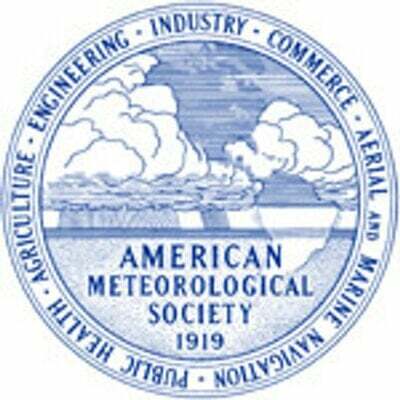 Each year, the American Meteorological Society (AMS) awards well-qualified graduate-level students up to $25,000 toward their education costs. The AMS is dedicated to providing financial assistance to those who are pursuing a degree in atmospheric or related sciences. The fellowship is merit-based, meaning applicants must have a minimum GPA of 3.25 to qualify. Students applying are given consideration only if they are U.S. citizens or permanent residents, and they are entering their first year of graduate school as a full-time student at an accredited institution in the U.S. The application deadline is mid-January each year. Interested students may find additional information about the application requirements and AMS by visiting their website. The American Library Association offers up to four scholarship awards through its Bound to Stay Bound Books Scholarship program each year. Awards are available up to $7,500 for well-qualified graduate students who are pursuing an MLS or advanced degree that leads to work in the area of library services to children. In addition to degree requirements, applicants must be citizens of the United States or Canada and show excellence in academics, leadership qualities, and desire to work with children in a library setting. A personal statement that includes career goals and commitment to library service is required. The application deadline March each year. More information about the Bound to Stay Bound Books Scholarship, eligibility and previous award winners can be found at the link above. Graduate students pursuing a degree or preparing for a career in state or local government finance may be eligible for the annual Daniel B. Goldberg Scholarship. In partnership with the Government Finance Officers Association, this scholarship is made available for up to $13,000 as a one-time award. Graduate students who are enrolled full-time in an accredited degree program are eligible to apply, and they must be citizens or permanent residents of the United States or Canada to qualify. A recommendation from an academic advisor is required, as is proof of a bachelor’s degree or its equivalent. The application deadline is mid-February each year. Information about the Government Finance Officers Association and the Daniel B. Goldberg Scholarship may be found on the website. Each year, scholarships for graduate students in the amount of $5,000 are awarded to students studying marketing and preparing for a career in the field. Eligible graduate students must have participated in at least one Marketing EDGE program and have earned a GPA of no less than 3.0 throughout their college career. Qualified students must also showcase an interest in the field of marketing and be enrolled in a marketing-related degree program at the time of application. All applicants are required to be U.S. citizens for consideration, and all application materials must be submitted by the annual mid-April deadline. 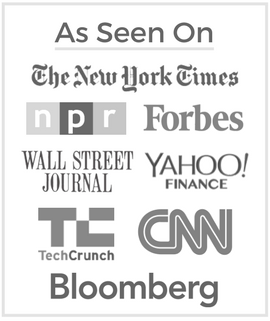 More information about Marketing EDGE and its scholarship opportunities may be found on their website. Graduate school scholarships awarded for the purpose of completing a graduate-level degree program are incredibly beneficial to students who do not have access to other financial resources. Unlike student loans from the federal government or private lenders, scholarship dollars are paid without an obligation to repay the organization upon graduation or leaving the program. These “free” awards allow students the ability to attend school with less student loan debt than those who are not awarded graduate school scholarships. If scholarship funds are not enough to cover the lion’s share of expenses associated with earning an advanced degree, students may look to other resources. Some employers offer tuition assistance for graduate degrees that are directly related to the employee’s current position with the company. Similarly, local and community groups may provide scholarships for graduate students that are not well-known or easily found through an online search. Researching scholarship availability based on a student’s academic merit, financial need, or location can be a beneficial step in reducing the total out-of-pocket cost of higher education for well-qualified students.